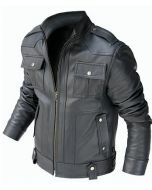 Men's Biker Style Leather Jacket. Available in Black, Blue, Brown, Green, Grey, Red, Tan and Yellow Color. Leather Jacket Designs can make this jacket in any size. 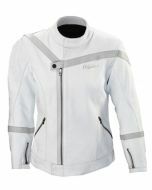 Jacket features comfortable tab collar, front zip closure, 1 Inside, side button pockets, round cuffs, stylish stitching and beautiful lining on front and back. If you want to make a statement, then this leather jacket is the best choice for you. A wonderful new addition to our Fashion Jackets collection.